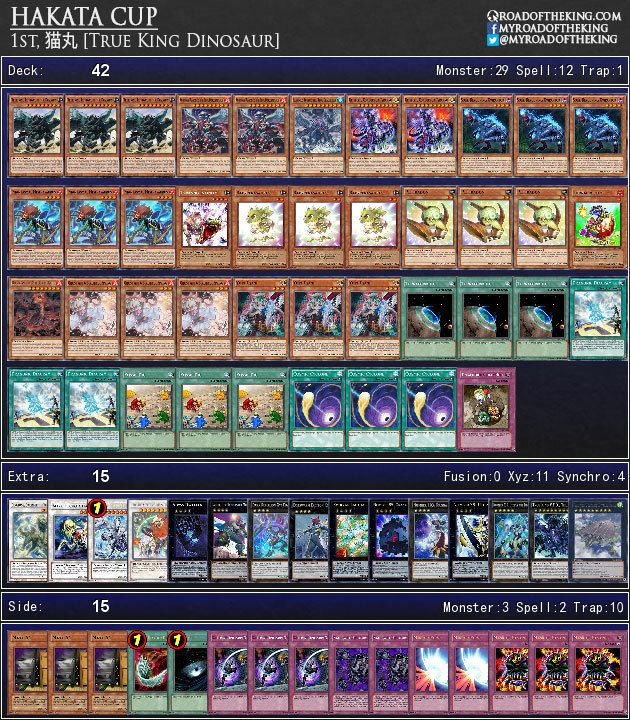 Welcome to Week #2 of the OCG 2017.04 format. 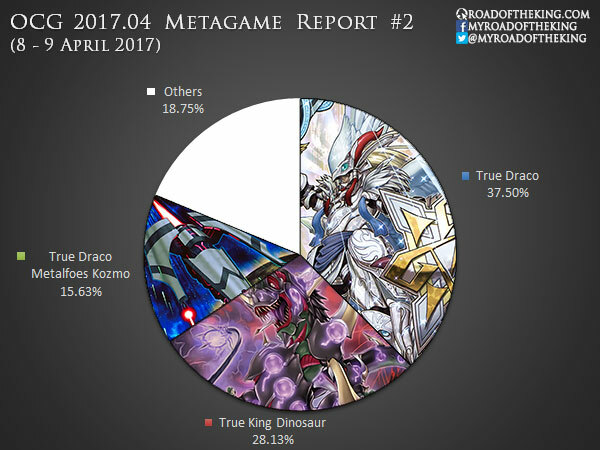 This report will cover 32 top-performing decks from 6 tournaments that were held in Japan during 8 – 9 April 2017. 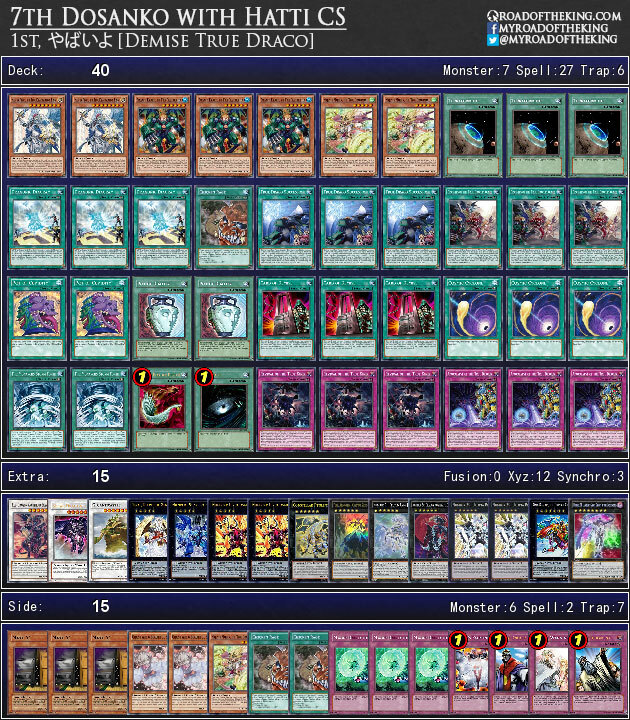 Magic Deflector is a very niche tech card for stopping Dragonic Diagram and Revolving Stage. It is a very metagame-specific tech choice that might lose its relevant when the metagame shifts after Code of the Duelist. It seems that Eradicator Epidemic Virus was just a fad as most players are no longer running it. Although Nekomaru (猫丸) had 2 copies in his Side Deck, he mentioned that he barely used his Side Deck. 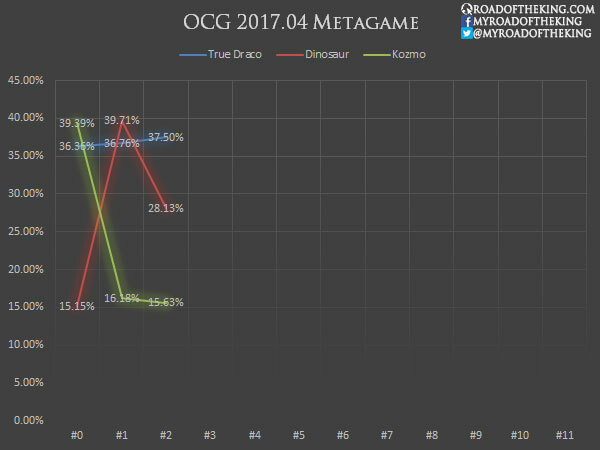 The initial weeks of OCG 2017.04 has settled mainly among Demise True Draco, True King Dinosaur and True Draco Metalfoes Kozmo. Code of the Duelist will be released later this week, and we might experience a metagame shift. YOT Hong Kong 2017 is happening this weekend and it will be the very first major tournament to be held with Code of the Duelist available. Follow us at Yu-Gi-Oh! Events for coverage of YOT Hong Kong 2017. Why Number 85: Crazy Box on the True King Dinosaur? Against opponents that are playing Skill Drain.